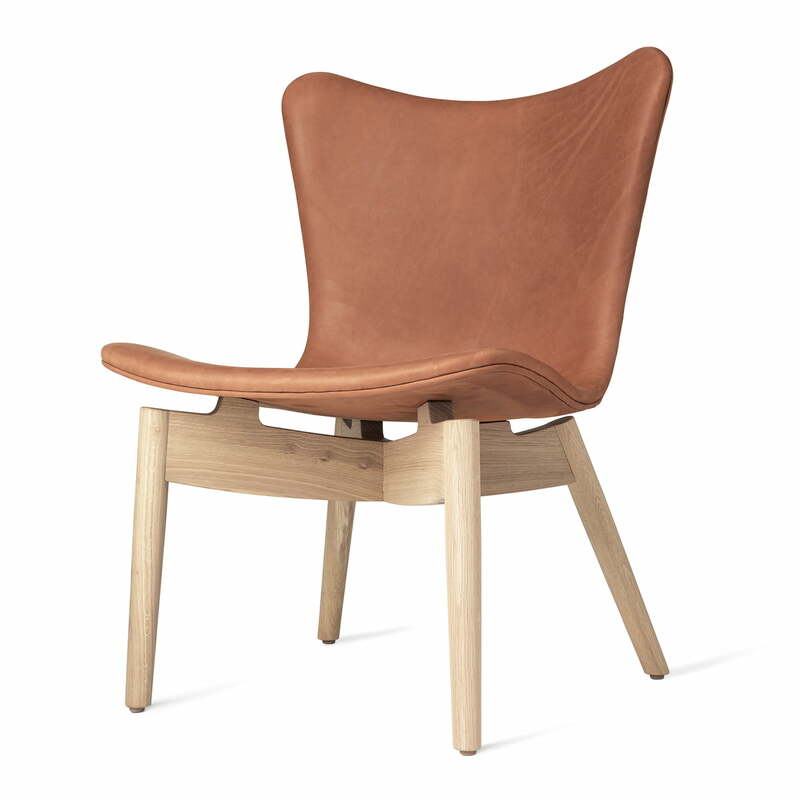 The Lounge Chair Shell by Mater is a natural chair with a frame made of oak and durable saddle leather. 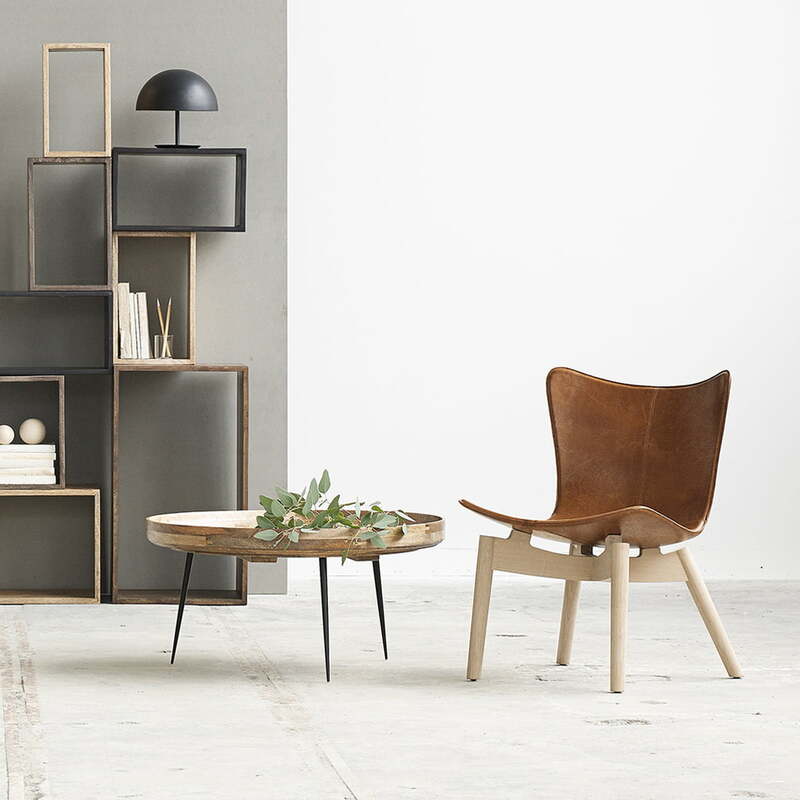 Made in traditional handwork in India, the Chair inspires with natural and robust accents. The hand-stitched seat in black or brown leather of the Shell Lounge Chair was inspired by the handicraft of traditional saddlery from North India and is manufactured in elaborate manual work. The soaped oak wood of the frame is FSC certified - the wood thus comes from a responsible forestry. The Shell design by Mater is available as a dinning Chair, lounge chair and bar stool in different heights and variants. Please avoid exposing the chairs to moisture and don’t position them next to a fireplace. For the heat and moisture might cause cracks in the wood or change the colour of the leather. Clean the chair only with a slightly damp, soft, lint-free cloth. Do not use any cleaning agents as they may cause damage to the leather and the wooden base. 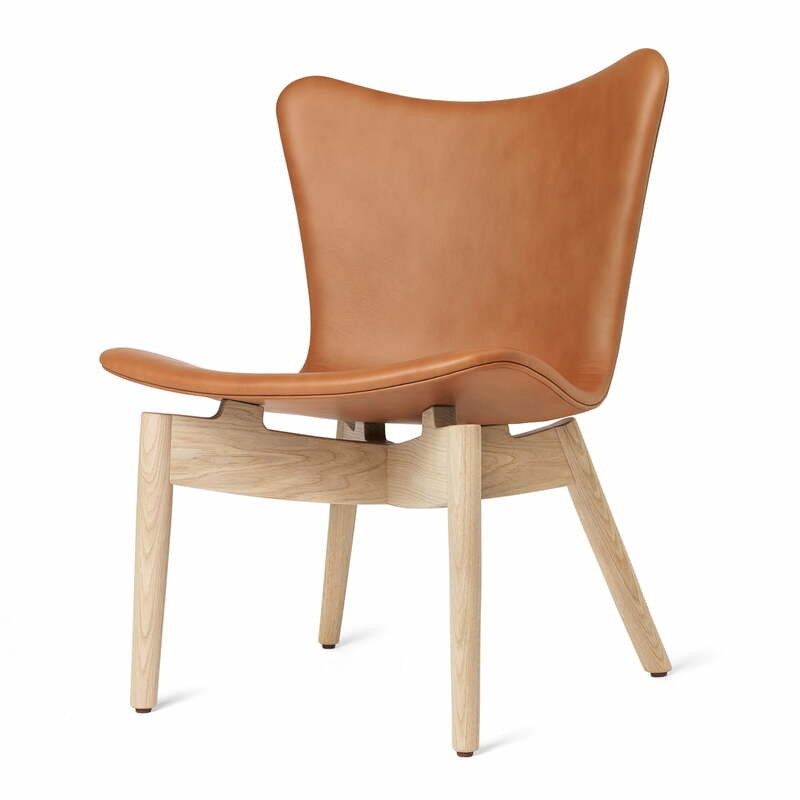 Inspired by traditional craft practices in North India, the Shell Lounge Chair by Mater in lacquered matt oak and Ultra Brandy leather appears natural and robust. Inspired by traditional craft practices in North India, the Shell Lounge Chair by Mater in lacquered matt oak and Rust Dunes leatherappears natural and robust. 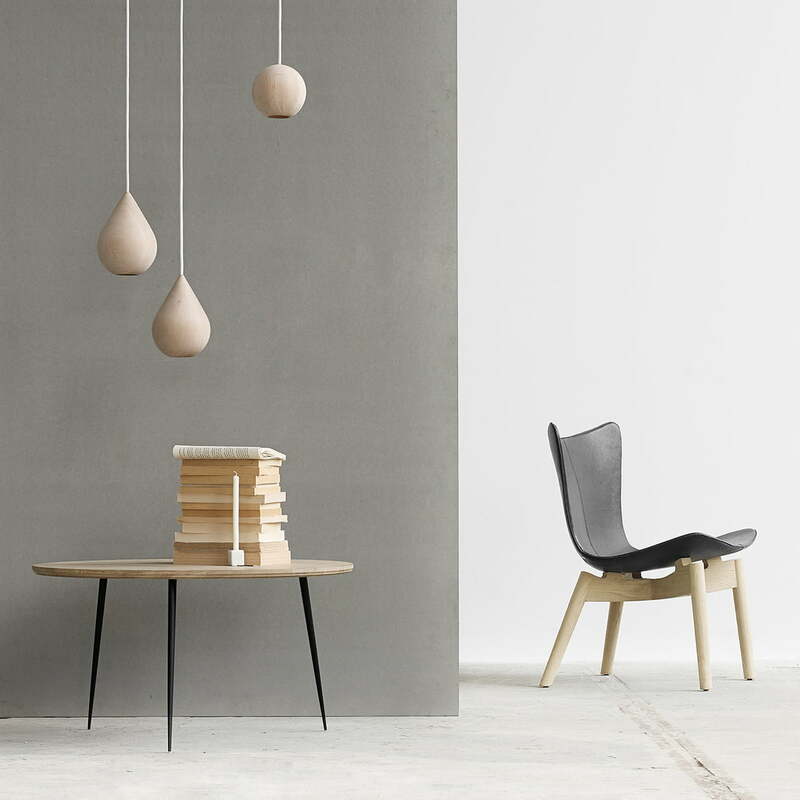 The Shell Lounge Chair by Mater has an elegant and modern silhouette. It is characterised by the sturdy wooden, almost sculpture like frame and the curved seat made of saddle leather, which together emit stability and at the same time dynamics. The hand-sewn seat made of black leather of the Shell Lounge Chair was inspired by the craftsmanship of traditional saddlery from Northern India and is manufactured in elaborate manual work. The soaped oak wood of the frame is FSC certified.